By having a professional hands-free car kit fitted to your vehicle will enable you to make and receive calls, listen to mp3 music and even have text messages read out to you(handset dependent). 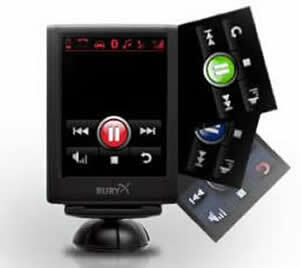 We supply bluetooth hands free car kits including: Parrot, THB, I O Play, Nokia, Sony Ericsson, and Motorola. We can install these car kits at your home or place of work throughout the UK. No matter if you are a private individual or a business customer with a fleet you can be assured we have the correct product for you so please don’t hesitate to get in touch. Over the last few years all manufacturers have pushed towards bluetooth car kits as opposed to hardwired systems with cradles. The main advantage with bluetooth is the the fact that you do not need to change your kit every time you change your phone, as most phones work with most kits. They also offer more features. The main disadvantage is there is nowhere to charge your phone. 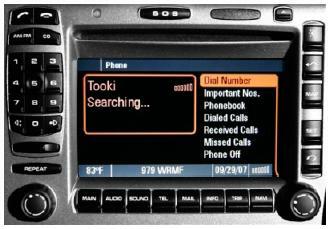 We offer a range of vehicle specific interfaces that enable your bluetooth phone to work with the factory head unit. This seamless integration enables you to use all of the factory features as if you were using the manufacturers phone. This is designed for Mercedes, Porsche and more.